What do Russia and Iran think about Saudi Arabia’s coalition initiative? Saudi Arabia has announced the formation of a military alliance of Muslim countries to fight international terrorism. More than 30 Muslim states will reportedly join the alliance, including Egypt and Turkey. All of them are Sunni-majority nations. Majority-Shiite Iran and its allies are excluded. Riyad’s initiative risks complicating efforts to find a solution for the civil war in Syria and reigniting sectarian conflicts in the region. How are Russia and Iran, two key players in the region, likely to consider the Saudi initiative? Some analysts claimed that, rather than to fight terrorism, the coalition has been created to reinforce its members’ leadership in the region (namely Saudi Arabia) in concurrence with ‘other coalitions’. At the same time, Riyad is routinely accused by Russian officials of financing terror groups, particularly in Syria. The Head of the Russian Senate committee on International Affairs, Konstantin Kosachyov, insisted the success of the coalition will largely depend on its capacity to reconcile Sunni and Shia member countries. Kosachyov also voiced doubt that the coalition will be successful without Iraq and Iran, with whom Russia cooperates, and that they themselves managed to do more than many other allies, he said. Franz Klinzevich, of the Senate’s committee on Defence and Security (and who fought for the Soviets in the Afghan war), also praised in general terms the efforts taken to form such a coalition, but also lamented the absence of Iran and Iraq saying the coalition could be used ‘to attain other objectives’. Iran has not yet reacted outwardly to the Saudi initiative, which excludes Iran and its allies. Some analysts believe that Saudi Arabia has opened a new front against Iran in the current race to take the lead role in the region, as well as the Muslim world. Indeed, Iran and Saudi Arabia are already invested in the conflict in Syria, but also in Iraq and Yemen. Riyad’s position against its Shiite neighbor has become more aggressive since the death of King Abdullah in January 2015 put new Saudi King Salmane ben Abdelaziz Al-Saoud on the throne. 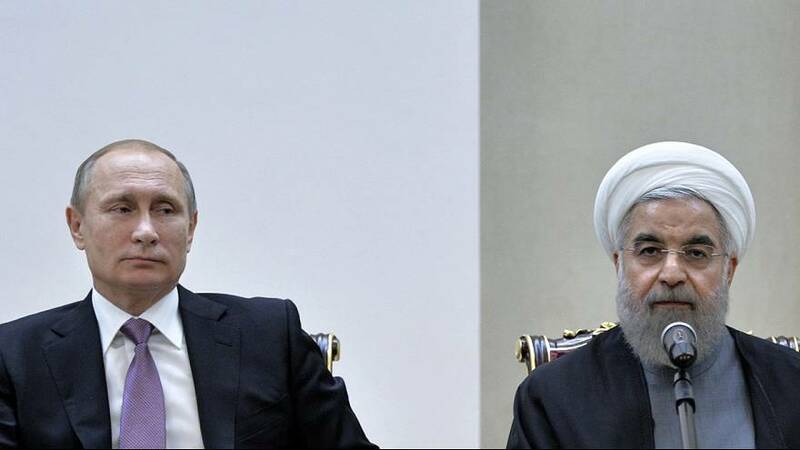 Iran’s desire to get closer to Russia in order to protect its regional influence seems to have complicated the relationship between Tehran and the rest of the Arab-Muslim world. United Arab Emirates, Jordan, Pakistan, Bahrain, Bangladesh, Benin, Turkey, Chad, Togo, Tunisia, Djibouti, Senegal, Sudan, Sierra Leone, Somalia, Gabon, Guinea, Palestine, Comoros, Qatar, Cote d’Ivoire, Kuwait, Lebanon, Libya, Maldives, Mali, Malaysia, Egypt, Morocco, Mauritania, Niger, Nigeria, Yemen. According to the SPA (Saudi Press Agency) more than ten other Islamic countries have expressed their support for the alliance and will take the necessary measures in this regard, including Indonesia.